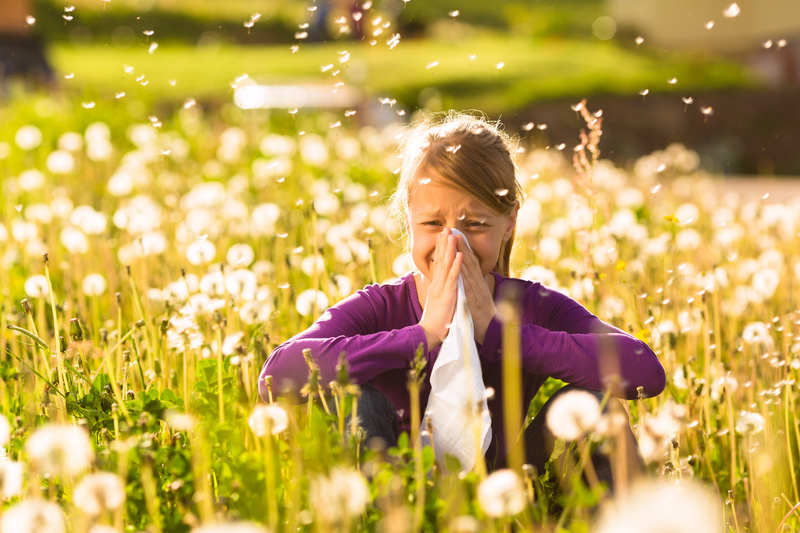 Dr. Todd Born, Naturopathic Doctor & Co-Founder of Born Naturopathic Associate has shared these easy tips with us on how to allergy-proof your life. Pillows: place in the dryer on High heat for 20 minutes, weekly. Linens: wash in hot water, weekly. If you use bleach, use chlorine free. Carpet: vacuum weekly, preferably with one that contains a HEPA filter. Shelves: wipe down with a moist cloth, not dry. Do this weekly. Windows and sills: clean at least monthly with a 10% chlorine free bleach solution, 90% water. Let soak for 5 minutes, and then clean. HEPA filters: place a few of these around the home and run at night. Houseplants: nature’s air filters. A great resource is “How to Grow Fresh Air” by Wolverton. Humidifier: For those that live in drier climates, using these in the bedroom while sleeping will not only improve skin but keep sinuses moist and less irritated. Candles: avoid using petroleum-based candles. These produce Benzene when lit and this is a known carcinogen. Instead, use soy candles or try making your own. Cleaning products: consider making your own household cleaners if you can’t afford the “natural” ones. Great resources to check out are “Home Safe Home” by Dadd, or “Better Basics for the Home” by Berthold-Bond. Dogs: wash monthly and brush weekly. Cats: clean litter box daily and brush cat weekly. Every other week, completely empty litter box and soak with chlorine free bleach for 30 minutes. Wash and redo the litter. Birds: clean out cage at least every other day. Pick up feathers as soon as possible. Wash hands with warm soap and water often. Don’t use antibacterial soap. Avoid touching face with your hands at all times. Wear a mask when cleaning the home and taking care of the pets as above. Consider daily, or every other day, nasal irrigation with a Neti Pot or NeilMed and saline water. Can add 1/8 teaspoon of ground Goldenseal powder, or Xylitol powder, or Quercetin powder, or 4 drops of essential oils of Thyme or Eucalyptus. All of the above is for 16 oz of a warm saline solution and using 8 oz lavaged for each nostril. Make sure to use filtered water. Avoid known food, pet and environmental triggers. Eat honey that is as local as possible. Also, consider eating bee pollen, but make sure it’s local. You can start with 1/4-1/2 teaspoon daily. Avoid giving infants under the age of 1 any honey products. Buy fragrance and chemical free cleansers, soaps, shampoos, etc., as often as possible. Check the Environmental Working Group’s Cosmetic Database. Eat Your Fruits and Veggies - It's Easier Than You Think!